It’s been a minute since we’d heard anything major about the upcoming fourth movie in the rebooted Star Trek franchise. (To be clear, we’re talking here about the one that’s reportedly being directed by S.J. Clarkson, not that bizarre Quentin Tarantino version that’s also in the works.) The assumption, though, was that it was tickling along just fine, because, hey, Star Trek, right? Not so much, as it turns out. 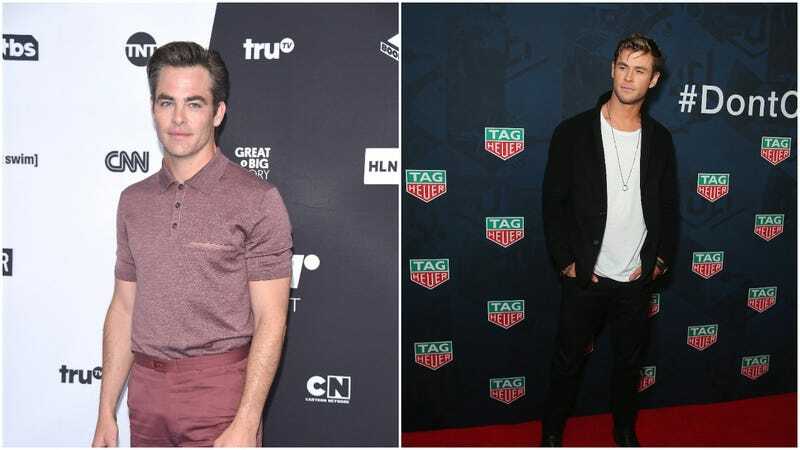 THR reports that negotiations for the fourth film have now apparently broken down between Paramount and stars Chris Pine and Chris Hemsworth, with all parties walking away from the table over the two leads’ paychecks. The conflict apparently boils down to this: Both Chrises (understandably) want to get paid the amounts they agreed to when they signed their contracts for the franchise. But as it turns out, Star Trek isn’t quite the money maker that, say, a Marvel movie or a Star Wars film might be. (The highest grossing movie in the franchise, Star Trek Into Darkness, brought in $467 million, which is pretty low as far as franchise tentpole returns go. Its follow-up, Beyond, made even less, to the point that Paramount supposedly even lost money on the film.) As such, the studio has apparently been playing hardball in negotiations, trying to get the movie’s budget down to something more in line with its box office expectations. It’s not clear yet what this’ll mean for the franchise as a whole; Hemsworth—who was reportedly set to reprise his role as James Kirk’s time-traveling dad, George—could probably be excised without too much headache, but it’s harder to see how Paramount can make one of these movies without Pine. (Not impossible, mind you; the Abrams films have always benefited from an especially charismatic ensemble to draw from.) It would definitely be massively disruptive, though, especially since Tarantino was supposedly going to use the same cast for his movie, as well. Of course, this could all just be negotiation shenanigans at this point, with Hemsworth and Pine counting on pissed-off fan reactions to get Paramount to balk. Either way, it’s rough, capitalistic times for everybody’s favorite socialist space utopia.